Stephen Graham was born in Edinburgh in 1884. 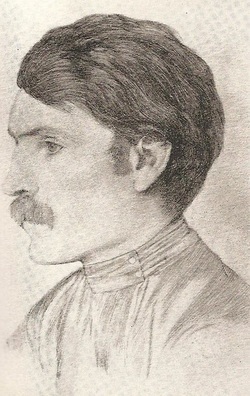 His father was the journalist and writer Peter Anderson Graham, who moved his family to London when Stephen was still young, in the hope of earning more freelance commissions. It was an odd family. Anderson Graham was a hard-drinking and driven man who resented having to spend his time doing 'hack' work to support his family. His wife - Stephen's mother - was something of a dreamer who spent her time reading books and leaving her oldest son (Stephen) to do much of the shopping. Anderson Graham received the lucrative assignment of Country Life editor in 1900. But around the same time he abandoned his family for a younger woman. For the next twenty five years, Anderson Graham steadfastly presented his 'new' family as his real one, even though he never actually divorced Stephen's mother. Graham portrayed his parents' unusual marriage in his novel Lost Battle. Click below for a brief audio description of Stephen's childhood.